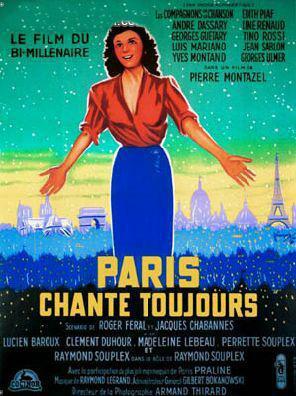 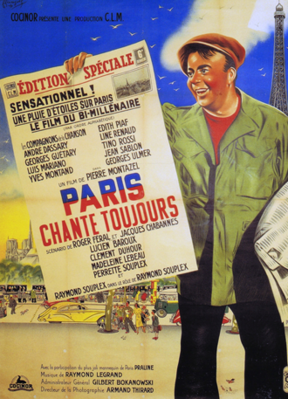 Paris Chante Toujours (Paris Still Sings) is basically a music-hall programme, given substance by a wisp of a plotline. The story concerns a pair of adopted siblings who aren't overly fond of each other. 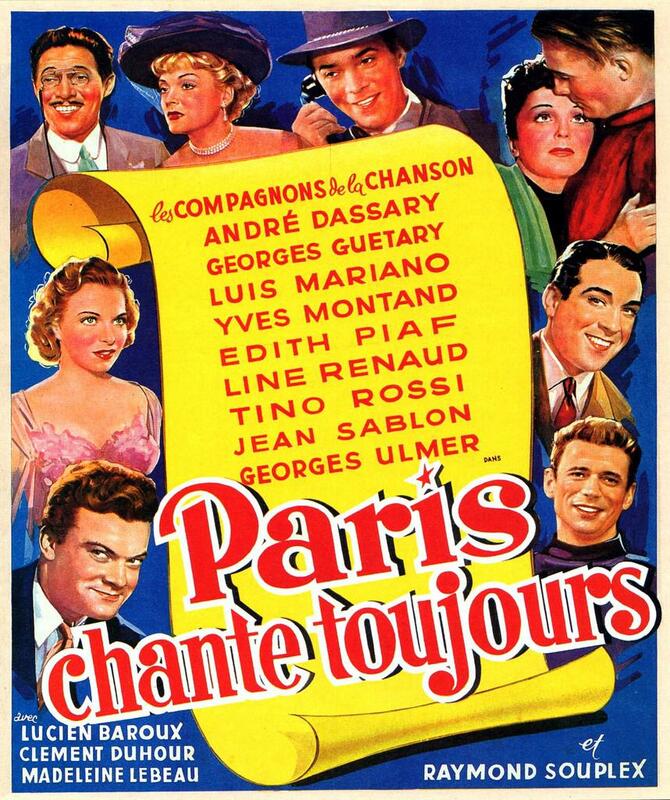 When their adoptive father, a wealthy former actor, passes away, the boy and girl learn that the only way they'll inherit his money is to collect the autographs of several famous French entertainers, thereby accommodating the film's overabundance of guest stars. 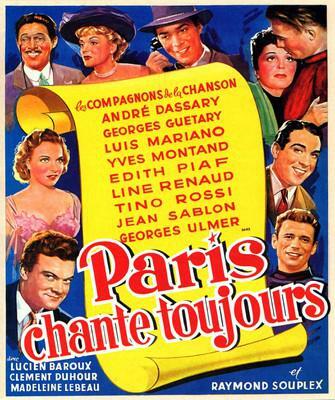 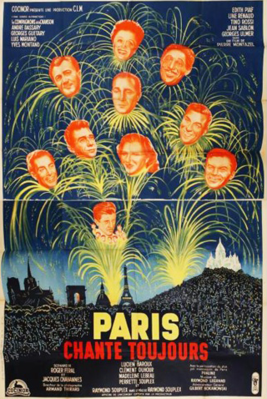 Despite several roadblocks (including a grasping attorney), hero and heroine accomplish their goal, and in so doing fall in love (no, it's not incestuous: after all, the boy and girl aren't really related) Among the celebrities contributing their considerable talents to Paris Chante Toujours are Edith Piaf, Yves Montand, Georges Guetary (of American in Paris fame), Toni Rossi and Jean Sablon.